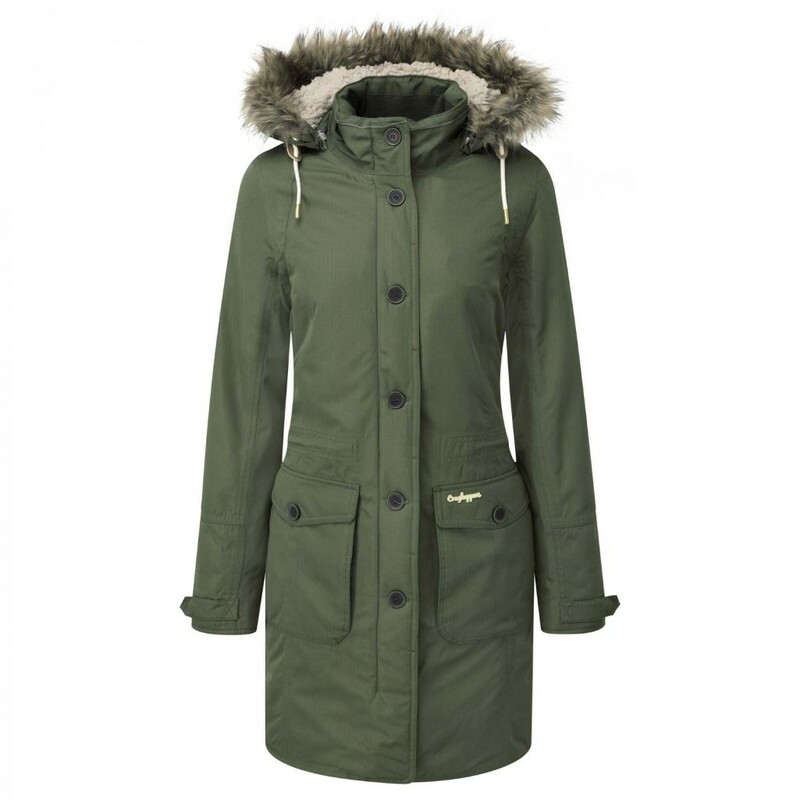 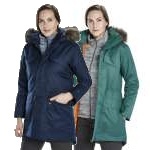 The Craghoppers Women's Cayley Parka Jacket is a reliable waterproof, windproof and breathable winter coat that has a luxurious and soft Sherpa lining and a fantastic thermal insulation to make it an incredibly stylish jacket that will quickly become your favourite outdoor coat this winter! 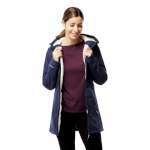 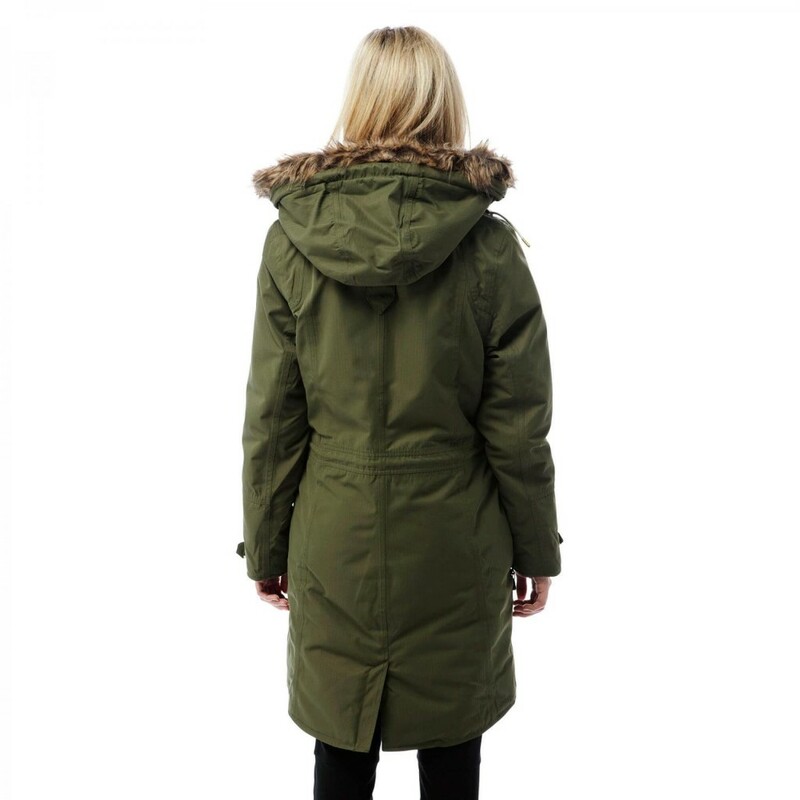 With an excellent 10,000mm level of waterproof protection coupled with the water repellent finish and taped seams, when the rain starts coming down, simply put your hood up and rest assured that this longer length winter coat with its extended coverage will keep you dry in the harshest of horrible downpours! 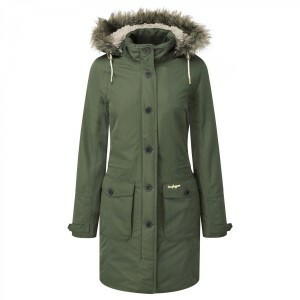 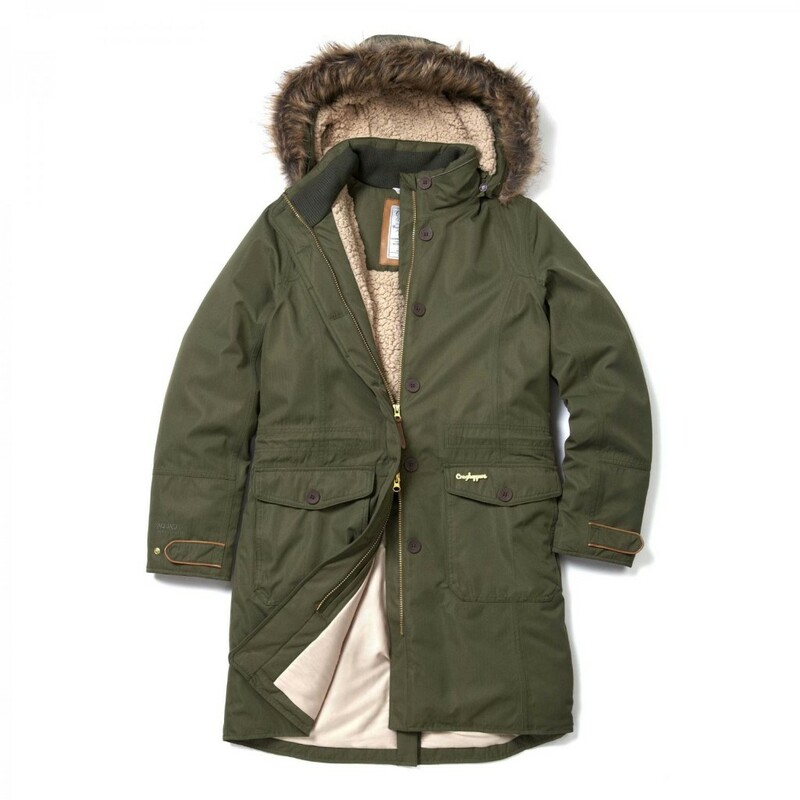 We love the Sherpa lining that features on the body and through the hood on this Cayley Parka, it is so soft and cosy, and this along with Carghoppers' ThermoAir+ Hollowfibre insulation gives this coat an impressive thermal rating of 7 out of 7 so you can rest assured that you will be kept snuggly and warm and able to continue to enjoy the great outdoors even on really cold and frosty days! 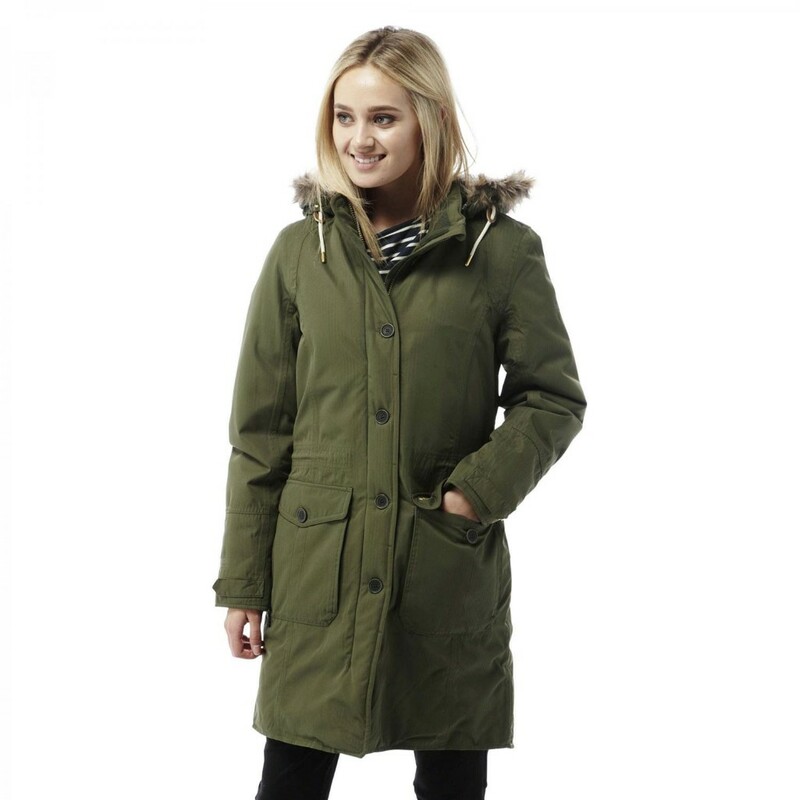 Craghopper's are well known for their attention to detail (as well as their excellent technology) when it comes to designing jackets and this classic parka styling, with the removable hood and faux fur trim, 9 pockets and waterproof outer make this an incredibly warm and reliable winter coat that will see you right the way through until spring!